What can I achieve from Empowered Fitness’ Programs? We believe first and foremost that the foundational health and fitness skills we will teach you will serve you for the rest of your life! You will gain more confidence in your capacity for physical exercise while making a dramatic improvement in your overall well-being. Our programs include workouts designed to strengthen your muscles, build your core strength, improve your balance, increase your stamina, and lower your stress! By losing fat and gaining muscle, you'll lose inches and gain strength while looking and feeling better. Also, you'll meet great people who share in the same vision of striving to reach their goals for a healthier body and a healthier lifestyle. Sounds Awesome! How do I sign up? If you are interested in joining, the first step is to give us a call at (650) 440-4800 and set up an appointment. In the consultation, we'll spend time understanding your needs and provide all of the information you need to figure out how we can best make your goals a reality! What types of exercises are included in the PowerBLAST programs? Workouts are different every time but may include: Core conditioning, strength training, H.I.I.T. (high intensity interval training), jumping rope, circuit training, sport drills, running/jogging (or walking), surprises, and more! It's always an adventure, and you'll always have fun! Empowered Fitness trainers provide you with a solid foundation of fitness basics and proper form in a welcoming, energetic, and inspiring atmosphere. We use progressive programming at Empowered Fitness so NOBODY will be left behind or asked to complete more than they are capable of doing safely. Whatever your initial fitness level, you will be guided and empowered to progress faster than you ever thought possible. People of all fitness levels are encouraged to participate. Each day will slightly increase in intensity and you will inspire and be inspired by others. What kinds of people enroll in Group Training? They are busy and hardworking people just like you and have decided to make their health a priority. They range in age from 16 - 65+. Some may have never exercised, and some are competitive runners looking to train for the next race. Some have over 100 pounds to lose, and some need to gain weight or simply tone up. Some have had surgeries, injuries or recent births. They are a group of people who want something better for themselves. They want results, they want to feel great, they want to reclaim their energy, and be the very best they can be. These people are looking to jump start their fitness and get fast results. They are determined and committed and many admit they were scared to sign up and get started, but later were SO glad they did! What will I do after my program is over? This is a lifestyle change so it's never over! The programs are ongoing to provide you with uninterrupted opportunities to improve your fitness. Once you have your initial measurements, you will be re-measured periodically to chart your progress and then set new goals to reach. Being accountable for your results will become a source of self-pride as you set and overcome goals that you never thought possible! Empowered Fitness programs are NOT militaristic style programs where you will be in an overly competitive environment or pushed beyond your abilities. Once again, this is a friendly, fun environment where everyone works to the best of their ability. You have everything to gain by joining. Don't let false fears hold you back. You deserve to be in the best shape of your life and our programs can get you there! Do you need to be held accountable? Do you need motivation? Would you like to meet fun people? If you answered "YES" to any of these questions, Empowered Fitness programs are for you! We will give you an introduction to the program you have joined, let you know what to expect, and answer any questions you may have. We will review your medical history. We will take a few simple measurements to set a baseline prior to beginning the program. These will be your starting measurements that we will compare to later on in the program to chart your progress. These numbers and all other information will be held in the strictest confidence. We will make sure you know when and where to arrive for your first session! What do I need to bring to my Program? You will want to wear clothes appropriate for the current weather as many of the workouts will be outside. If it is chilly, dress in layers but don’t worry - you will get warm very fast! Also bring water to keep yourself hydrated during your sessions. Optional items are a towel to dry off with and workout gloves. And always bring a positive attitude! Will I be sore sometimes? Most people feel some soreness for the first 2-3 days. After that point, it is slight to moderate. It's part of the process that lets you improve! We recommend exercising/cross-training on your non-program days and doing some extra stretching at home. Keep hydrated too! If you are unable to attend camp due to circumstances out of your control, we can offer you a full refund if you notify us prior to the start of the program. If we are notified after your session begins, we will provide a refund minus a $50.00 cancellation fee. Top Personal Trainer And Fitness Coach Reveals Insider Secrets The Weight Loss And Fitness Industries Don't Want You to Know. 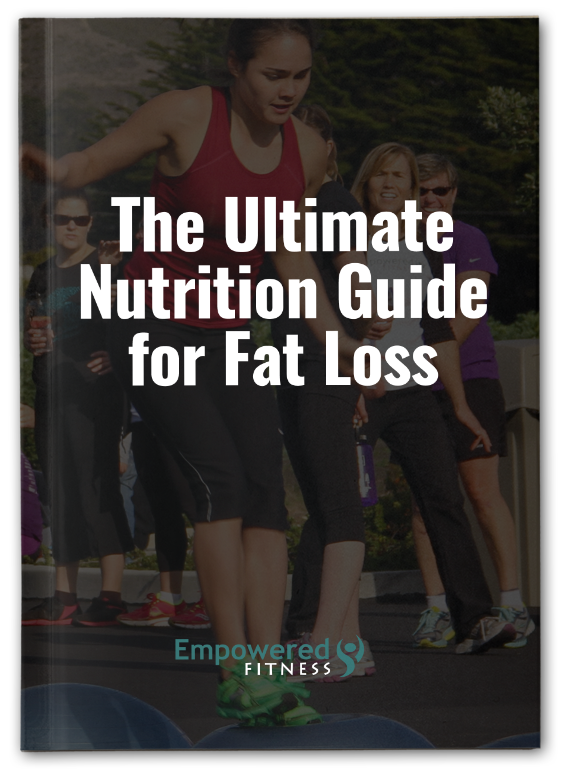 Top Personal Trainer And Fitness Coach Reveals Insider Secrets The Weight Loss And Fitness Industries Don\'t Want You to Know.